NEW YORK, Feb. 5, 2019 /PRNewswire/ -- According to the WHO, 15% of patients in hospitals suffer from hospital-acquired viral, bacterial and fungal infections. To prevent and reduce the prevalence of hospital-associated infections, several measures, such as the use of sterile and disposable products, pre-packed medical kits, sterile medical devices and disposable gloves, among others Disposable Medical Supplies, are being taken. Healthcare workers use a number of disposable medical supplies and protective equipment, such as surgical drapes, surgical gowns, surgical gloves, eye protection gears, face masks, etc., while performing operations. Increasing awareness regarding hospital acquired infections and crucial role played by disposable medical supplies are the two factors preventing the rapid spread of these infections. The European Centre for Diseases Prevention and Control (ECDC) reported that one in 18 patients in European hospitals suffer from a hospital-acquired infection (HAI). On an average, around 3.2 million patients per year suffer from HAIs. Disposable Medical Supplies are used in the treatment of many infectious diseases, which is expected boost the growth of the Disposable Medical Supplies market over the forecast period. An increasing number of surgeries being performed worldwide is another important factor expected to boost the market for Disposable Medical Supplies. Similarly, increasing focus of governments of various countries on regularizing the healthcare profession by implementing stringent guidelines will further improve the revenue of the Disposable Medical Supplies market. Various hygiene awareness programs in various regions are promoting the use of Disposable Medical Supplies, such as gloves, gowns and drapes. Continuous innovations by Disposable Medical Supplies manufacturers, lucrative marketing strategies used by companies and development of Disposable Medical Supplies with better protection quality, such as disposable gowns, drapes, gloves, feeding tubes and others, etc. is anticipated to further give a boost to the Disposable Medical Supplies market. Some Disposable Medical Supplies products, such as procedure kits and trays, reduce the burden of work and allow easy and efficient workflow. The global Disposable Medical Supplies market is expected to be driven by the growing number of end-users, increasing per capita healthcare expenditure and the increase in the number of surgeries. Rapid growth in the Healthcare sector is the primary factor driving the growth of the global Disposable Medical Supplies. 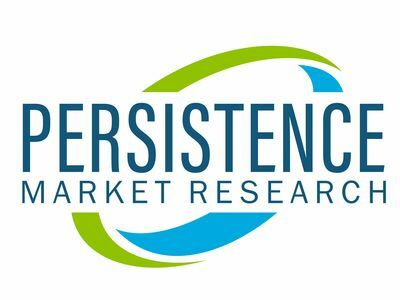 Rising demand for disposable gloves and growth in healthcare industry will, in turn, propel the growth of the Disposable Medical Supplies market. According to a latest report published on NCBI, of the total surgical gowns consumed in the United States, more than 80% are disposable ones. The use of disposable surgical gowns is also increasing in emerging regions of APAC and MEA due to the increased budget of hospitals and bettering living standard of people in these regions. However, pricing pressure and saturation in the Disposable Medical Supplies market are the two factors which will limit the growth of the Disposable Medical Supplies market during the forecast period. The Disposable Medical Supplies market is segmented on the basis of product type and end users. Based on product type, the Disposable Medical Supplies market is segmented into Drapes, Feeding Tubes, Gloves, Gowns and Procedure Kits and Tray. Based on end users, the Disposable Medical Supplies market is segmented into Tier 1 Hospital (>500 Beds), Tier 2 Hospitals (250-500 Beds) and Tier 3 Hospitals (<250 Beds). In terms of revenue, the Gloves product type segment, in the Disposable Medical Supplies market, is expected to hold significant share over the forecast period. By end users, the Tier 3 Hospitals (<250 Beds) segment in the Disposable Medical Supplies market is expected to exhibit limited investment opportunities, in terms of revenue, through 2022. The hospitals end-use segment is expected to lead with maximum share in the global Disposable Medical Supplies market. PMR's report tracks some of the key companies operating in the Disposable Medical Supplies market, such as Covidien Ltd. (Medtronic PLC. Company), Cardinal Health., 3M, Medline Industries, Inc., Sempermed USA, Inc., ANSELL, Molnlycke Health Care AB, NIPRO, McKesson Corporation and Halyard Health, among others. The information presented in this review is based on a PMR report, titled "Disposable Medical Supplies Market Segmentation By Product Type - Drapes, Feeding Tubes, Gloves, Gowns and Procedure Kits and Trays; End Users - Tier 1 Hospital (>500 Beds), Tier 2 Hospitals (250-500 Beds) and Tier 3 Hospitals (<250 Beds)- Global Industry Analysis, Size, Share, Growth, Trends, and Forecast 2018 - 2026."